Just this past week, HDS announced its new 'Hitachi Unified Storage' or HUS for short. That's HUS, not Hu's by the way- it's not that Hu Yoshida, HDS's long term CTO, is now having products named after him! I think...!? Mostly because I forget to hit send before I headed out last night. IBM announced plans to buy enterprise search company Vivisimo today. According to statements from Big Blue, the acquisition is aimed at bolstering IBM's already sizeable investment in Big Data analytics with Vivisimo's added federation capabilities. With all of the cybersecurity legislation activity in Washington, GAO Director of Information Security Issues, Gregory Wilshusen, testified before the Homeland Security Committee in the House of Representatives this week. Director Wilshusen described sources of cyber threats including botnet operators, criminal groups, hackers, insiders, and nations. I suddenly feel like Rip Van Winkle. Having been involved in the initial wave of Customer Relationship Management software back in the 1990s, I can't get over how much CRM has changed. Back then, the simple act of knowing your customers and prospects and imposing some process on how they were managed was revolutionary. This week, attending SugarCon 2012 in San Francisco, looking at the vendors here, and talking to the people who are deploying modern CRM solutions, that past time seems almost primitive. It's as if we were recording customer interactions on papyrus using hieroglyphics. As stated earlier, one of my New Year Resolutions was to back up my own stuff better. While my work laptop gets an image-based backup of its OS/Apps and my data is stored in a cloud-based sharing solution, my home machines are less rigorously protected. The irony is that I would be much more upset to lose last year's Christmas photos than I would be to have to re-create a PowerPoint deck -- mainly because I could recreate a document, but not a memory. As NetApp's 'Array Product Group' (or APG, the artist formerly mainly known as Engenio!) made its first major program release today since the purchase of the division, I thought it would be interesting to take a look at the experience to date, since it's about a year since this happened. For the anally retentive, the announcement that NetApp was to buy the Engenio external storage systems business of LSI was made on 3/9/11, and the purchase was completed on 5/9/12. Since then the business unit seems to have been doing well for NetApp. In earnings calls it is referred to as 'our E-Series OEM' business and in August of last year (after its first full quarter at NetApp) the company declared it "well above plan at $157 million"; the following quarter was "stellar....well ahead of plan, with 11% sequential growth"; and just this February NetApp said that the "business remains very robust, and after three quarters, we are now at $509 million in revenue, against the $600 million full year target we communicated at the time of the acquisition." So, revenue has accelerated somewhat since the first quarter of ownership; more significant perhaps is that the all-cash deal went down for $480M, meaning that - even guessing conservatively - NetApp is likely to clear $200M more revenue in its first full year than it spent on the business. Some may see the latest FlexPod from Netapp as another arrow in their quiver and the next generation of a solution that supports Microsoft System Center 2012. It is, but I see something way more interesting. It is difficult in any partnership to get two teams to work collaboratively, share a common vision and strategy, and successfully execute together. NetApp's latest announcement includes the collaboration and cooperation of FOUR vendors - FOUR! This is not an easy feat. Splunk (SPLK) went public this week and both Infoblox and Palo Alto Networks will soon follow. This could be the start of a security IPO run moving forward. Why? Status quo security defenses aren't working so there is a burgeoning market for next-generation security technologies. This market opportunity has driven M&A activities for years but we've recently seen far broader interest in security. HP grabbed ArcSight and started a security business unit. IBM acquired Q1 Labs and did the same. Dell purchased SecureWorks and SonicWall. Investment is pouring into the security sector driving innovation and a present and future wave of IPOs. At MMS 2012, Microsoft announced the general availability of System Center 2012. 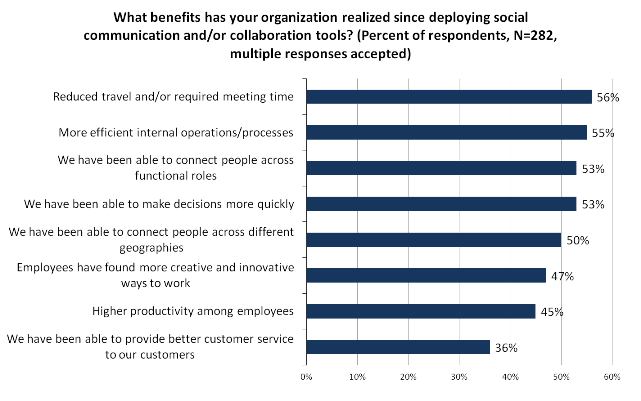 How Does the Social Enterprise Help Customers? Next week is SugarCon in San Francisco. As the name suggests, it is a conference run by SugarCRM which brings together IT professionals, third-party developers, and partners to talk about customer relationship management. For three days, a whole lot of people will be talking about customers and how to use technology to interact with them in a more meaningful manner. Social enterprise technology will be a big part of that discussion. This week I attended the Open Networking Summit in Santa Clara with 900 of my closest friends. Okay, maybe I am contributing to the hype around Software-Defined Networking (SDN) with a statement like that. It wasn't 900, there were only 899 in attendance (over 100 on a waiting list) and they were not all my friends, but I did meet a lot of really smart people and had a lot of great conversations. Those in attendance ranged from network engineers from large health care providers, senior executives from large service providers, hardware and software vendors, and more than a few venture capital and money management firms. The show seemed to be a good mix of speaking sessions that covered existing implementations, tools, vision for the future etc., as well as expo/demo time to review offerings and better understand the current state of commercially available solutions. Over the past few years, I've been involved with a number of ESG Research projects all pointing to a few common problems. Even in the most sophisticated shops, security teams struggle to collect the avalanche of security data generated from different log files and tools, analyze this data in a proactive manner, or find the proverbial needle in the haystack indicating anomalous behavior. The Microsoft Private Cloud Fast Track program puts the best practices and private cloud experience of Microsoft into an IT architecture that provides consistency and flexibility in the Microsoft stack, while still enabling its hardware partners to bring their own expertise and differentiated components together for customers benefit. I'm attending Microsoft Management Summit 2012 this week and had an interesting observation in one of my sessions. I always ask (and make a little joke out of asking) "Who is using VMware?" and as you would expect, the majority of the room raise their hand. No surprise. I asked the same question during one of my sessions at MMS and I received the same result. I then asked the obvious next question, "Who is using Hyper-V?" In the past at a Microsoft-focused event such as MMS, I would honestly get a healthy showing of hands and I would use that as a good indicator that there is some pickup with Hyper-V. This time when I asked about Hyper-V usage, nearly the entire room raised their hand! Now I understand, yes, this is a Microsoft crowd, but wow, that is impressive. Wanna Sweet Deal On Storage? As my regular readers (thanks Mom!) will know, I'm a stickler for semantic accuracy....or at least I try to be [and it's mortifying when I make the sorts of simple mistakes that I'm constantly warning others of - like a particularly interesting e-mail exchange I'm having right now on the meaning of SSD, which I hope is the exception that proves the rule!]. I also like the weird and/or arcane real world parallels that help us all to remember important lessons. I was struck by one last week - by chance it was at SNW, but (as you'll see) it could have been any number of places. I first heard the term de-perimeterization years ago from my friends at the Jericho Forum, a UK-based organization of security professionals. Back then the focus was on securing IT when it crossed organizational boundaries. In other words, a highly-secure network perimeter offers little protection if my business applications, services, and sensitive data are consumed by users working at other organizations, with different security policies and controls, residing outside the firewall. 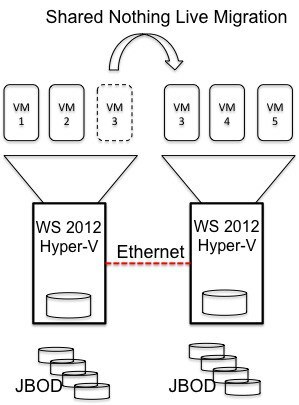 EMC VSPEX is further evidence that the IT infrastructure consumption model is changing. VSPEX is ultimately a new menu item for select EMC partners. From the outside, VSPEX has a consistent look of a packaged solution, but it is what is available on the inside that gets interesting. A customer will be able to customize a VSPEX based on hypervisor preference (Citrix, Microsoft, or VMware), Cisco servers, Cisco or Brocade networking, and multiple flavors of EMC storage. The partner will base the menu choices off EMC proven infrastructure solutions and deliver a single packaged unit to the customer. I went to dinner last night with my pal, EMC big wig Rich Napolitano, and a startup he knows called Plexxi. I've known Rich for many years since his startup Pirus (acquired by Sun for way too much money, god bless them). The way IT is accustomed to procuring and consuming virtual computing infrastructure is rapidly changing. Its traditional DIY (do it yourself) model is littered with risk and new integrated computing solutions take the guesswork out of infrastructure, remove the complexity, and ultimately arm IT with the ability to improve business process as opposed to spending a giant portion of their time maintaining infrastructure. Pity poor legacy networks. There's a tremendous amount of change going on with everything that connects to networks - mobile devices, virtual hosts, cloud computing applications- but networks have remained static, inflexible, and technically esoteric. This dichotomy leads to a situation that ESG calls "network discontinuity"-legacy networks just can't keep up with modern business and technical requirements. With the Open Networking Summit and Interop just around the corner, HP unveiled the networking portion of its Converged Cloud initiative. The network portion is highlighted by the introduction of Virtual Application Networks, that build upon HP's FlexNetwork Architecture, and will cover data center, campus, and branch network environments to enable the rapid delivery of applications to end-users. Virtual Application Networks are logical, purpose-built virtual networks designed to connect users to applications and services, resulting in a scalable, agile, and secure network that streamlines operations. It's always interesting when you're made to re-evaluate and look at things differently. Cirque du Soleil has been doing that for years now; traditional 'circus' acts became fascinating entertainment that could make us stroke our chins or drop our jaws. In other words, something you thought you knew was presented in a new light. And yet the underpinnings of what Cirque does are not brand new - it did not invent the wheel or discover fire; instead, it took elements that existed already, and did something that no one had seen before. In other words it represents invention rather than discovery, but nonetheless it has created something compelling....not to mention the fact that it's generated a ton of revenue, spin-offs, and imitations. In preparation for the Open Networking Summit (ONS) in a few weeks, ESG networking guru Bob Laliberte and I have been talking to networking vendors, end-users, VCs, even actual OpenFlow shops. Here's what I'm thinking at this point. Wyse??? I thought they made AS400 dump terminals.!?!?! It's been a few years since I came to SNW - and while, the number of end-users appears to be dropping (my perception vs. recollection), the types of end-users appear to be exactly the right kind of audience that SNW was built for: storage savvy IT stakeholders looking for education on technology evolutions. I do wish that SNW would lessen its restrictions or allow a defined percentage of its sessions to actually mention products, as I heard some veiled sales pitches where the 'evolution trends' discussed by the 'experts' were coincidentally only manifested by that particular expert's product-line. Enabling some sessions to be product-informational might breathe some new life into that program. Judge Peck filed an order yesterday in response to the plaintiff's request for his recusal in the Da Silva Moore case. In it he defends his earlier opinion and his reputation, closing with a call for a return to civility. When you mention endpoint security in conversation, it's not unusual to get some type of visceral response - eyes rolling, sighs, etc. Security professionals and the industry at large think of endpoint security as a commodity or "necessary evil." Some of my fellow analysts have gone so far to say that endpoint security as a category is dead (that's an old analyst trick for declaring that you've come up with some new model).